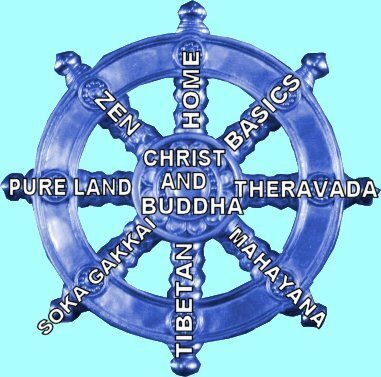 Since Theravada Buddhists believe that theirs is the oldest form of Buddhism, they also hold that it is the closest to what the Buddha himself had in mind. Interestingly, Mahayana Buddhists, adherents of the later and less exclusive form, do not necessarily dispute Theravada's age, but they question whether it is, therefore, the most authentic one. Mahayanists believe that the Buddha withheld the true version (theirs) from the people at first until they were ready for it. Nevertheless, without expressing allegiance to either side, it is legitimate for us to think that the scriptures of Theravada, the "Three Baskets," reflect Buddha's teachings more closely than later Mahayana scriptures. Here are some of the most basic points that distinguish Theravada Buddhism from other forms. Only the bikhus are able to attain the final goal of enlightenment. A bikhu who has attained enlightenment is known as a holy man (an arhat), and he will realize Nirvana upon his death. The Buddha was a human being, a very special one, to be sure, but not a god. After he had resolved to become a Buddha, he led millions of lives and was perfect in each of them. After his death, the Buddha went to Nirvana and is theoretically no longer a causal agent on earth, but he left a deposit of spiritual power that is available to people now. Lay people are able to earn merit by following the moral precepts and carrying out acts of devotion, such as venerating the Buddha, decorating statues and temples, and enhancing their spiritual faculties by meditation and chanting, as well as spending some limited time as bikhu. There is an ongoing debate concerning nomenclature. A number of Theravada Buddhists like to be called Theravada in preference to Hinayana, a somewhat derogatory term, coined by the Mahayanists, who were emphasizing that theirs was the great and all-inclusive vehicle, while Theravada was the inferior vehicle with limited capacity. So, we shall not use "Theravada" and "Hinayana" as synonymous. However, in the absence of a better term, we will be using "Hinayana" as a collective terms for the eighteen or so older schools of Buddhism that preceded Mahayana. In that sense, Theravada is the successor of one of the original Hinayana schools. In fact, having acknowledged this concern, the reality is that many Theravadins, in speech and in writing, often freely refer to themselves as "Hinayana." In this segment of the site, we will describe the history and practices of Theravada Buddhism. Some of the early material is fairly technical. So, you have a choice as to how many details you want to try to learn. After this page, you can go on to follow the more detailed route and move to PAGE 2: Derivation and Early Schools, or you can skip to PAGE 7: Theravada Basics. In the latter case, you will find that the most significant concepts will be summarized again, so you won't miss anything really important.